On the afternoon of 18 August 1966, a group of Viet Cong soldiers walked into the right flank of Delta Company, 6 RAR. Under a blanket of mist and heavy monsoon rain, a dispersed Company of 108 men held its ground with courage and grim determination against a three-sided attack from a force of 2,500 Viet Cong troops. Unfortunately, due to sales rights restrictions, we cannot offer Long Tan for sale in your country. On the afternoon of 18 August 1966, just five kilometres from the main Australian Task Force base at Nui Dat, a group of Viet Cong soldiers walked into the right flank of Delta Company, 6 RAR. Under a blanket of mist and heavy monsoon rain, amid the mud and shattered rubber trees, a dispersed Company of 108 men held its ground with courage and grim determination against a three-sided attack from a force of 2,500 Viet Cong and North Vietnamese Army troops. When the battle subsided, 18 Australian soldiers lay dead and 24 had been wounded. Battlefield clearance revealed 245 enemy bodies with captured documents later confirming the count at over 500 enemy killed and 800 wounded. These men were led by a gruff and gusty perfectionist, Major Harry Smith. Now, some 47 years after the battle, Harry tells his story for the first time. 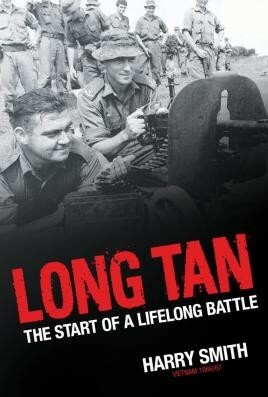 But Long Tan is more than just an account of a historic battle. Harry Smith takes his readers on an extraordinary journey - one that ultimately reveals a remarkable cover-up at the highest military and political echelons.Written in partnership with award-winning journalist Toni McRae, Long Tan is also Harry's life story and portrays his many personal battles, from failed marriages to commando-style killing; from a horrific parachute accident through to his modern-day struggles with bureaucracy for recognition for his soldiers. Harry's battles are tempered by his love of sailing, where he has at last found some peace. Long Tan portrays the wrenching, visceral experience of a man who has fought lifelong battles, in a story that he is only now able to tell. Harry can still hear the gunfire and smell the blood spilt at Long Tan. For him, the fight continues.